Blizzard's CFO has been pinched by Twitter CEO Jack Dorsey. Activision Blizzard is down a second chief financial officer this week. The publisher terminated its CFO, Spencer Neumann, early in the week, and now Blizzard’s CFO, Amrita Ahuja, is leaving for Twitter co-founder Jack Dorsey’s mobile payment company, Square. Ahuja joined Activision Blizzard eight years ago, becoming Blizzard’s CFO only last March. 2018 wasn’t a stellar year for the company, which saw shares drop by 26 percent in 2018. Declining user numbers also contributed to a 10 percent drop in November. It’s been a bit tumultuous. 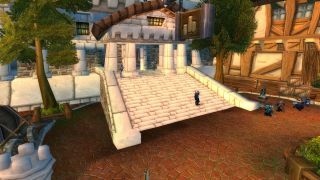 Blizzard president Mike Morhaime left the developer last year, and it’s reportedly paying staff to leave in order to cut costs. At the end of 2018, Blizzard also announced it was scaling back Heroes of the Storm, moving developers onto other projects and shelving the Heroes Global Championship and Heroes of the Dorm tournaments.